Live and direct from the Northside. Musings on life on the varied fields of play. It's all in the game, yo. Who is this Northside Chip Anyway? You Don’t Need A Title. You Just Need To Give A Damn. Anthony Weiner gets caught with his pants down on Twitter. Duh! (Ignant Award Winner right here). Joplin, Missouri is still a mess on now the other side of Missouri gets a nice reminder from the New Madrid Fault. There’s flooding on the Missouri River. Hmm, where are we going to find some FEMA money for this one, especially now that everybody in Washington is a deficit hawk. Timothy Geeko Geithner is confident that Team Obama will be able to cut a deal with the Grand Old Birthers and get a deficit cutting package. I’m sure some of Paul Ryan recommendations will make the list, which means Mr. and Mrs. America are going to have to choose between head or gut again. It’s a same we can believe in. You know something? I know of a way we can cut that deficit in a meaningful way right now, and its a way that the Republican would really love. I agree with them, we have to cut that welfare. So I say let’s cut the biggest Welfare Program in America right now. How about it? Let cut the BIG WELFARE PROGRAM RIGHT NOW! President Obama, I’m talking some serious deficit reduction right here. Deficit reduction so definitive, you have the bipartisan cooperation you crave and the Republicans can say they were “tough on welfare spending”. How about it. Let cut some of that WELFARE! Let end America’s largest welfare program…. END THE WARS IN AFGHANISTAN, IRAQ AND END THE STRATEGIC PLANNING FOR IRAN…NOW! And while we are at it. I hear that President Obama is looking at an executive order to stop defense contractors from making political contributions. Why haven’t you signed that one already Mr. President? In the sports world: Miami has a 2-1 lead on Dallas. The Boston Bruins came home and came correct in beating Vancouver (but they still trail 2-1), Albert Pujols is terrorizing the Cubs..again (But beating the Cubs is kind of like beating on the kids who ride the short bus. ), and this weekend my main man behind the wheel comes to North America. Lewis Hamilton, stop letting Vettel steal your vittles, homey! I’ve been down with Formula 1 since I was a little Northside Chip on the corner, and we on the Corner are all about some Lewis Hamilton. But he, and the rest of Formula 1 are chasing that Sebastian Vettel, who has won five of the six rounds of the series so far. Hamilton’s the only other driver who has pulled through to win this season, and he’s been getting the Obama Treatment by the press for showing his frustration after being penalized in the Grand Prix of Monaco. He’s been accused of “playing the race card”. Why do people think the race card is so damn powerful? Tim Wise is right when he says that the “race card” is the weakest in the deck. Below is the post-race interview with the BBC in question: Decide for yourself. My opinion? 1. The penalties for aggressive driving were very questionable to this observer. Where was the penalty on Massa during qualifying when he was blocking Hamilton all over the place? And Pastor Maldonado screwed up late in the race and nearly took Hamilton out when LH had the line in the corner. 2. No “race card” is being played here in my view. If somebody’s quoting Ali G, you kind of have to take it for what it is. Remember the same dude who played Ali G also gave the world Borat and Bruno. It’s humor, Sasha Baron Cohen-style. RELAX. 3. 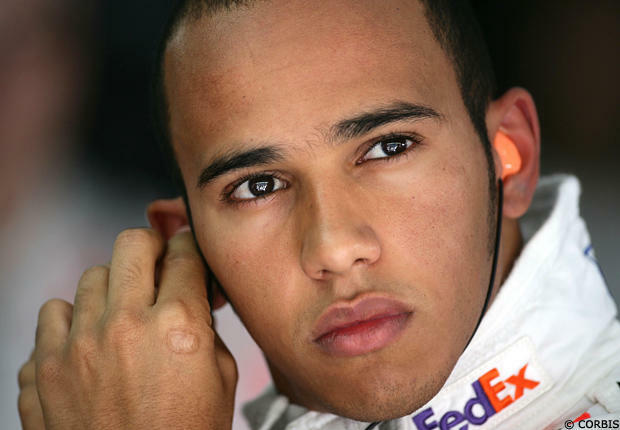 Lewis Hamilton is quickly learning the ways of the sporting press the world over. Everything you say can and will be used against you, especially if you have that darker paint job. Shake it off my man and win in Montreal this weekend. STAND ON IT, SON! IT’S GO TIME! Speed sports has been on my mind this morning. I was talking to my cousin in Atlanta, a forty-ish coach of an youth track team, while talking to my dad, who’s was my old track coach as a young un’ and he was talking about how tough it is to get a few hundred organized at a meet, getting all the entries in and such and we were just talking about how much the folks who ran our old team back in North Omaha put into it. When we were young, our summers were spent on the run in the red and white of the Midwest Striders. Many summers spent traveling running and never forgot the fun we had or the lessons we learned. Many people where a part of it all. Parents, friends, concerned citizens who just wanted to give us young kids an outlet. They weren’t people of affluence. They weren’t high-powered folks armed with big dollars or Nike sponsorships. They were the everyday people, who got up in the morning went to work and after work they gathered us at old Omaha Technical High School around 5:30 and they led practice until 7:30 or 8:00. The man in charge was a man named Ed Mayhue. He was stern proud father who was the head coach. He started the team in 1970 as a way to give his kids and some of their friends something to do. By the time I started running for them, around the age of 7, the team had already grown to nearly two hundred kids aged 7 to 18. Coach Mayhue wasn’t some downtown or suburban cat. He was a blue-collar man. By day, he was a garbage collector. Every day after work, he’d get home maybe grab a quick shower and then he’d be a Tech High wearing a ballcap and a whistle, and leading practice. He did that through full days of work for two decades. He did that after perhaps the toughest time in his life. One work day, a terrible accident happened. I was maybe 10 at the time. Coach Mayhue’s arm was caught in the press on his garbage truck. The arm was crushed, and he nearly was too. He lived, but lost that arm. That happened just before the season started, and we figured coach would retire. No chance of that. A month into the season, he was back coaching and teaching. The man didn’t miss a beat. He eventually retired from coaching…. a decade later. You don’t need “status” or “title” to be of service to your community. You just need to give a damn. Coach Ed Mayhue taught me that. Getting Beat On The Beat. Goodbye, Ms. Oprah..and Who Has Barack’s Back? In the news: Oklahoma, Kansas and Arkansas got hit hard by tornadoes. Some in Washington D.C. are using the storm to play politics. Northside Chip YOU IGNANT Award Winners. These two D.C. Metro Transit Police Officers. On Thursday, May 19, the Metro Transit Police on routine patrol at the U St. Metrorail station observed a patron in a wheelchair drinking an alcoholic beverage. The officers asked the patron to leave the area and he refused. The officers then attempted to issue the patron a citation and when the patron refused to comply with the issuance of a citation he was told that he would be placed under arrest. The patron resisted arrest which resulted in him falling out of his wheelchair. The patron was arrested for assault on a police officer and drinking in public. The patron was transported to a local hospital with a minor injury. Metro Transit Police are following up on this report. He did fall out of the wheelchair, with a little help. This is why the “war on drugs” doesn’t work. You cannot exercise authority without creditability. To my police peeps: It only takes one ignant cop to free O.J. Goodbye Oprah, and thanks for all the fish. 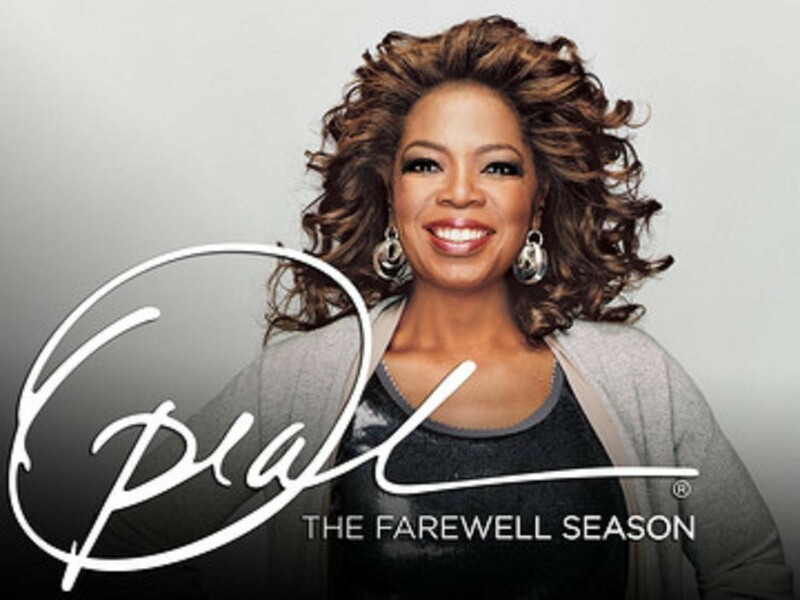 O is for Oprah, and May 25, 2011, The Oprah Winfrey Show ends a 25-year run. Say what you want about Oprah, but when you can run on TV worldwide for 25 years, you did something right. I’m a huge fan of this brilliant lady and what she put on the airwaves, and although I think in her later years the show lost a little bit of its edge, too many celebs at times to me, it was mostly on point. I tip my Stetson to you, Ms. Oprah. Thanks for showing how a little positivity can go a long way. 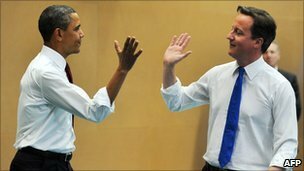 Now turning my attention to another big time O.
Barack Obama is hanging out in Europe for a minute. A couple days in Ireland, and a pint of real Guiness. Now, he’s in the UK. Not a bad choice, Mr. President. Britain gets some love here on the Corner. Yes, Northside Chip is an Anglophile. But can we give the President a hard time back here at home? Yes we can, and quite a few of us are. Republicans? Yep, there is the snipe from the right. It’s a same you can believe in. Sniper to the left? Yipes! and check out who is holding the rifle. Dr. Cornell West? Really? It is so. The Big Thinker isn’t too happy about what the President is doing.The health care plan didn’t go far enough in Dr. West’s mind. The economic team is too Wall Street in Dr. West’s mind. America’s First Black President isn’t all that into Black Issues, so Dr. West says. Dr. Cornell West, the Big Thinker? Going straight ghetto fabulous on the “I’m Blacker Than You” tip? Damn. Such thoughts caused a serious round of the dozens among the intelligentsia black and otherwise . 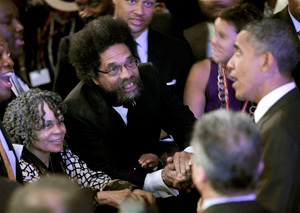 Some saying the “old guard” of black leadership is passe. Others who agree with West’s contentions which put Obama at a level just short of Stephin Fetchit, Pigmeat Markham and Flavor Flav. I think all sides in this circular turkey shoot need to aim the rhetorical salvos at a different target. Dr. West, you know better. Pulling that one out sounds no different from the Birthers to me. Worse, it blunted the arguments that I happen to agree with and that is what saddens me. Now, Tavis Smiley coming out of the pocket with some of this left field stuff is understandable. Mr. Smiley got radio shows, tv shows and books to sell. Side note: Notice how you really hear about Tavis Smiley only when he hawking his next book or project or something? But I would like to ask Dr. West’s critics a question based on what the professor said about the policies within this Administration: What is Dr. West saying about the policies that is untrue? I like President Obama, I voted for President Obama, but let’s be real for a second. President Obama ran on health care reform with a public option. He surrendered that early in the fight, and what we have is a huge windfall for the health insurance-pharamceutical-industrial complex. President Obama ran on economic recovery that would help a great deal of us who are not CEOs. But the CEOs and Wall Street got a huge bailout, which a good number of them used to feather their own nest. And notice that Eric Holder has yet to lay a legal smack down on anybody on Wall Street who helped pull off the biggest jack in financial history. But then again, did we really expect an economic team made up of the “Too Big To Fail/Too Big To Jail” crowd to prosecute the crime and clean up the mess? President Obama ran on ending our military adventures in Iraq and Afghanistan. Instead, we got an escalation of both wars. President Obama has governed in the fashion we feared, but knew was coming. That is why I did not support the President during the 2008 primaries. A fair point. However that hegemony and exceptionalism is a dangerous proposition in the 21st century. The concept of American Exceptionalism is highly toxic to our survival as a nation and the survival of the human species. But Barack Obama ran as something different. He ran as beacon of hope. Why that beacon has dimmed? You only need to look in a mirror. Too many of us who consider themselves in the “progressive” camp fall into the same trap. We figure that we put a mainstreamer who can talk the talk in charge and immediately the problem is solved. WRONG, THE BATTLE IS JUST BEGINNING. When the Tea Party People were in the place to be, hitting the streets and getting noticed, Where were those of us who wanted better and knew better? We didn’t swing up and push this Administration to fight for what they ran on. And that isn’t limited to black folks, I’m talking all progressive folks. Cornell West can’t do that. Boyce Watkins can’t do that. The “Talented Tenth” can’t push that forward, it’ll take the Whole Damn Hundred of us. If you want peace and social justice to be on the program, it’s not coming from the top down it has to start grassroots up. Street heat is the only way that radical program has a chance, and my firm belief has always been that for the United States of America to move into the 21st century, it will need a radical perestroika. The coming issues of the years ahead will demand that structural change. Also, Dr. West and in fact all of the black intelligentsia, could you tell me what constitutes a “Black Issue”? What counts? Is it just Unemployment and Crime? Not that those high rates aren’t important, and being black an all I understand that. We need jobs in our communities and economic development and I agree, President Obama needs to be out front a little more than he has been. But it seems to me, being black and an American and all, that all issues affect Black America, so why aren’t we talking about those issues as a community? Environmental Classism and Racism? Hello both sides, why aren’t we talking about this? The War. When I go to anti-war forums, I’m too often a “Pudding In A Cloud” (Def: The only person of color in the room). This is a “black issue”, too. Its time for Black Americans to stop talking about “black issues” and start making our voices heard on the issues across the board. All the critical issues that pertain to our nation pertain to me as a African-American. Demand. It’s a good word. Frederick Douglass used it very well. Power concedes nothing without demand. That’s the real issue those of us who seek the hope and change we were sold in 2008: How deep is our demand for it? You caught him. You killed him. But what’s next? How ’bout those Dallas Mavericks and those Atlanta Hawks? The ambush was on in the NBA last night. Boston Bruins getting things done on the ice. My Kansas City Royals are hanging in there, but those darn Cleveland Indians are looking like the 1984 Tigers right now. Moving to the bigger games, Stephen Harper wanted a majority and he got one in Canada. The Bloc Alber-ta now truly run that country next door to the north. The very left New Democratic Party is now the official opposition. Bon Chance, Jack Layton. Tommy Douglas couldn’t do it. Ed Broadbent couldn’t do it. You Monsieur Layton have made the NDP truly relevant from the Maritimes to B.C.. But can you work with that orange bloc quebecois you just inherited? And of the course the continuing big news. Sunday night you could almost hear President Obama whistling “Farmer In The Dell” as a group of Navy SEALs rolled into a heavily guarded complex somewhere in Pakistan and whacked Osama bin Laden….Or maybe that was “Woke Up This Morning” I heard through all the cheering. Either way, a country starved for revenge the way a crackhead needs a fix got a collective national hit as our military successfully executed Al-Queda’s point man/money man/rich brat on dialysis. Do not see the previous sentence as a criticism of our armed forces. The brave men and women who wear the uniforms of the forces do not make policy, they are instruments of policy. I have nothing against them. The Navy SEALs who drew this assignment carried out their duties. Is the world better off without Osama bin Laden in it? Absolutely. He sleeps with the fishes and given that he was behind the biggest single-day mass murder in world history, it is fitting that he sleeps with the fishes. Frontier justice has been done. The technical term for that is vengeance. Vengeance was ours sayeth the President. How about we just be honest and call it that. Count me as someone who has never been a fan of the “War On Terror”. To me it has been an episode of “The Sopranos” with more baggage, our #1 welfare program, and an effort akin to our “War On Drugs”. Its been built on a set of deliberate deceptions. It has in many ways harmed our position in the world. It has betrayed fundamental tenants of our legal system at home and abroad. It has put the United States in league with rogue nations which endorse detainment without cause and torture. Those who support those things crow loudly now, because of this execution. The Osama bin Ladens and Mullah Omars of the world are poverty pimps. They don’t scare me. But the people they are pimping do scare me, because those are the people who actually carry out the scheme. They have many names and faces. They live all over the world. Some are Muslim, some aren’t, and soon some of those could be good American Christian folk. I’m afraid of that person seeing Israeli tanks driving down his street on the West Bank. I’m afraid of the person in a Jakarta sweatshop making Under Armour Heatgear or a Victoria’s Secret supermodel shirt for 15 cents a day. The father and mother in Nigeria who’s groundwater got poisoned by petroleum waste. When they complained, they got a visit from the “Kill And Go”. If you really want to wage War On Terror, you have to wage War On Poverty, War On World Hunger, War On Resource Exploitation, War On Corporate Greed, War On Over Three Billion People Not Having Clean Drinking Water, and War For Human Rights, Worker’s Rights, Health Care and Education Worldwide. Violence is often is response to needs that aren’t being met. What I just listed are needs that aren’t being met. Needs that make it real easy to listen to an Osama bin Laden. Those are the things that often lead someone to putting on a Semtex sweater and walking onto a crowded bus, or lead a group of people with boxcutters onto a 777 and flying it into the World Trade Center. When we deal with the real issues that breed terrorism, then we will truly have justice and we wouldn’t have to send so many brave American men and women in uniform into harms way. That would be something truly worth cheering for. Back On The Corner..Sorry I’ve been away for so long, but I got things to say. A memo to all the wannabe hairstylists.